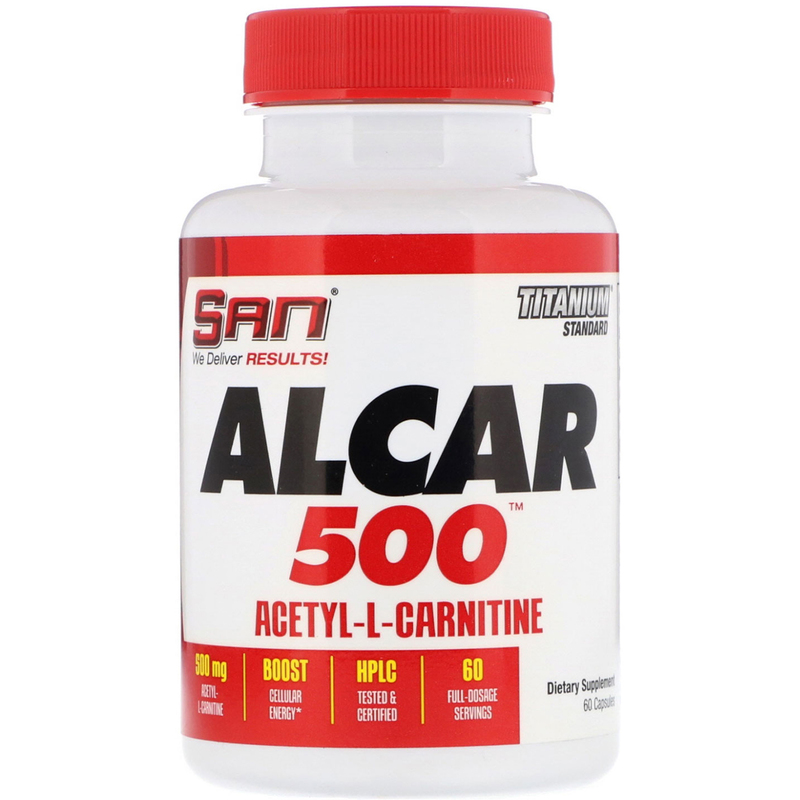 Description: Acetyl-L-Carnitine is a modified amino acid that supports cellular energy production by assisting in the transport of fat into the mitochondria where it is oxidized and converted into ATP (chemical energy for the cell). 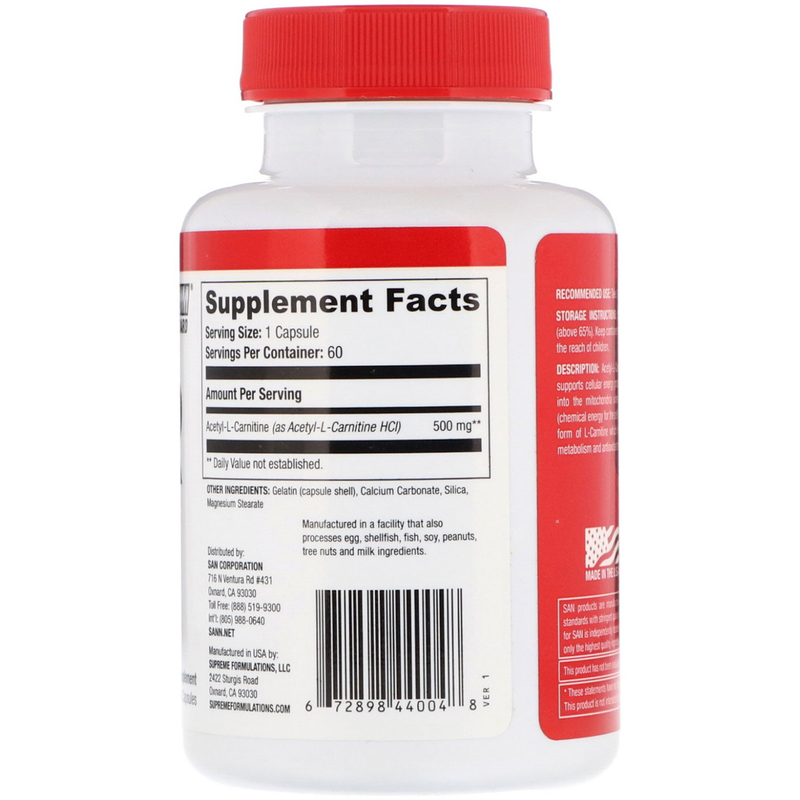 Acetyl-L-Carnitine is a highly bioavailable form of L-Carnitine which helps to maintain healthy cellular energy metabolism and antioxidant brain protection. Take 1 capsule with 8 oz. of water. Gelatin (capsule shell), calcium carbonate, silica, magnesium stearate. Manufactured in a facility that also processes egg, shellfish, fish, soy, peanuts, tree nuts and milk and ingredients. Storage Instruction: Protect from heat, freezing and humidity (above 65%). Keep container tightly closed when not in use. Keep out of the reach of children. This product has not been evaluated for purity and potency by athletes subject to drug testing.